Join the crew at Go Whale Watching Sydney as we make our way from Darling harbour, taking in the famous Sydney Harbour land marks and out to the open ocean for an epic Whale Watching experience! Please note we don’t recommend this cruise for young children. We recommend that you take sea sickness prevention tablets before boarding the boat as this tour goes into the open ocean. Please visit your chemist to discuss options available to you. We recommend wearing: Flat covered shoes, warm clothing, wet weather jacket if raining, hat, sunglasses, camera. Feel free to bring any food you may like whilst on the cruise. Perfect Company for whale watching tour. They know where they find whales, get very close and give enough time to enjoy them. Small number of people compared to other companies. Highly recommended!! Glenn and Harrison are very knowledgeable about the area as well as the whales. They provided a delightful tour out of the harbour and made sure all guests were comfortable throughout the trip. 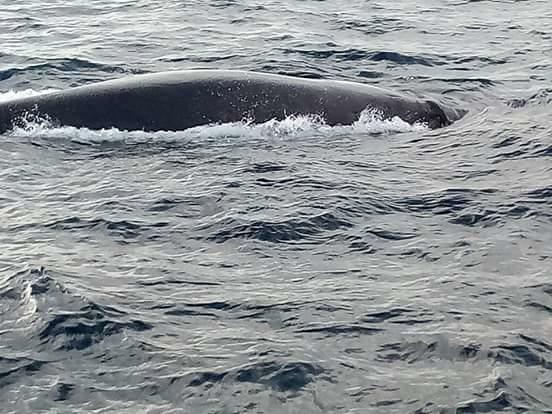 We were fortunate and saw 6 whales on our trip. They brought their own professional photographer and made the incredible images available to us for free shortly after the trip via their social media. Would highly recommend Go Whale Watching for a trip. Your message has been sent to Whale Watching and Sydney Harbour Cruise - Departs Darling Harbour. You should hear from them shortly. Please note: all responses will come directly from Whale Watching and Sydney Harbour Cruise - Departs Darling Harbour, and not the team at Bookme.